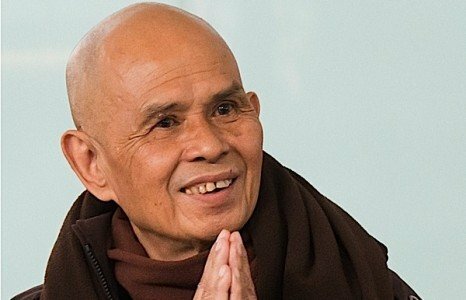 The most Venerable Thich Nhat Hanh. “A prostration based on the perception that Buddha has a separate self from your own, and that you have a self separate from the Buddha, can only be called superstition,” wrote Thich Nhat Hanh, one of the world’s most noted teachers. The teacher explained that when you bow to or pray to an image of the Buddha, the World-Honored One “or any image of whomever you pray to” you have to visualize because the Dharma object, statue—regardless of precious material or size—is nothing more than a symbol. “The one who bows and the one who is bowed to are both, by nature, empty,” which is a one-line prayer widely used by Buddhists around the world. Whether one thinks of both the Buddha and the self as Empty—a confusing subject to some—another way to understand the power and emptiness of prayer is to understand that “we are not a separate reality” from the Buddha. If you struggle with the concept of Emptiness, as many do, it’s easier to understand the concepts of “collective consciousness”—as taught both in Buddhism and as expressed by noted psychologist Carl Jung. 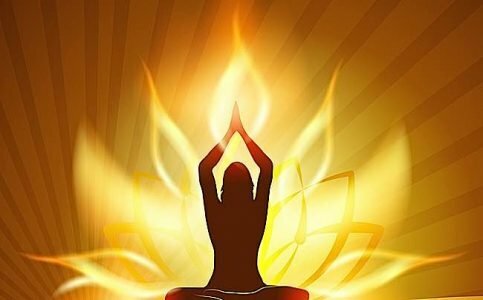 The energy of mindfulness is a very real energy and “when we create the energy of mindfulness, we are able to pray.” There is no need for complex ritual or formula or a trip to a temple to connect with the Buddha. Buddha is omniscient, and is already plugged in to your mind, because your mind is part of Mind. The Buddha is in you, not without you. Prayers are empowered simply by thought. Prayer is also empowered by other things, but most especially compassion. This is why Sangha prayers for a sick person can be very effective. In the same way Buddha is in us, Buddha is in the person who is sick. Compassion empowers the energy of thought and connects us instantly to the person who is sick. 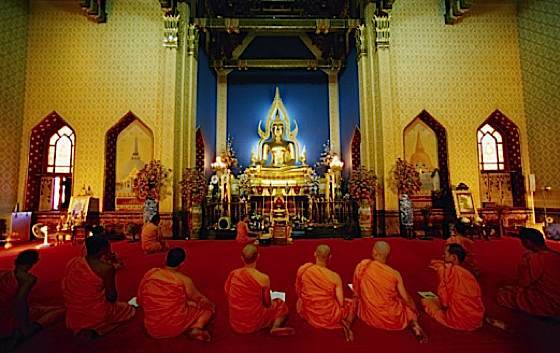 Monks praying in a temple. The word prayer isn’t truly the correct English word, but for many of us it is easy to think in these terms. When Buddhists “pray” who are we praying to? 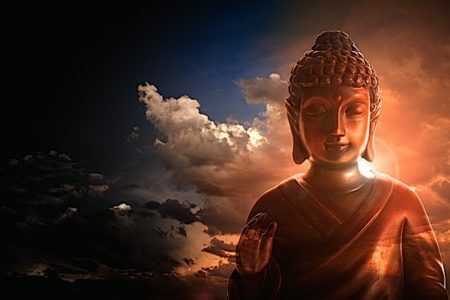 Sogyal RInpoche teaches “We think of Buddha as not being outside self, but within.” From one point of view, even when we prostrate or pray to a “statue” we are connecting, ultimately, to our own Buddha Nature. Both the statue, and ourselves, can be understood to be empty, making the topic of prayer in Buddhism a difficult concept. 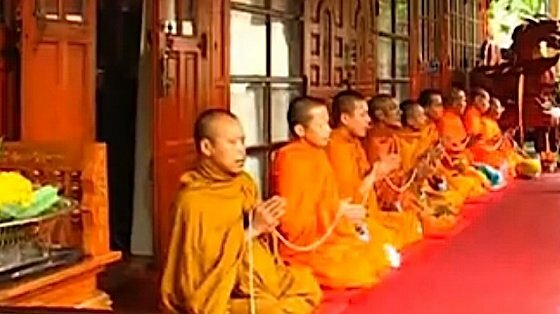 Monks chanting at a temple. Prayers such as the Seven Limb Prayer or countless others are recited daily by countless millions of Buddhists. 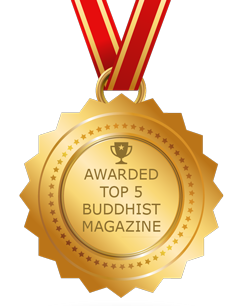 The foundation of prayer is to use an effective method of communicating between ourselves and the Buddha or Bodhisattva. When we meditate on our intention, Thich Nhat Hanh wrote in his popular book The Energy of Prayer, this “communication is realized straight away and we are linked.” This is because the Buddha is not separate from the self. The empowerment of the prayer comes from compassion, concentration and mindfulness. Mindfulness is being in the present moment. If this is lacking, prayer is not possible. “If you are not present, who is praying?” writes Thich Nhat Hanh. With mindfulness comes concentration, which in turn is the path to parjna, or insight. 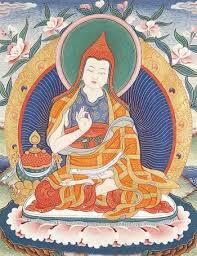 The Seven Limbed Prayer, contains within it, the entire essence of the complete Buddhist path in some traditions. Many Buddhists make it a practice to speak this enlightening prayer every day, morning and night. Simplified seven line prayers are often chanted throughout the day. In special practices, more elaborate seven-limbed prayers are often thought of. The practice is beautiful, enlightening, and ultimately, complete. I dedicate my own virtues and those of others to cultivate Enlightenment. May I actualize Buddhahood to help those who wander. Naturally polished, as is a beryl gem. Completely fill the sphere of space. As all the atoms of the world. And to your spiritual offspring. Oppressed by the confusion of naivety. To you, my Guardians, from the depths of my heart. And in your deeds that have aided limited beings. 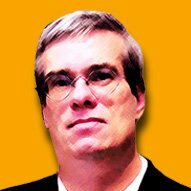 Suffering and groping in darkness. So as not to leave in their blindness these wandering beings. May all those who wander be led to pure lands. Chittamani Tara, distinguished by her two blue uptala flowers. Throughout the past, present and future. 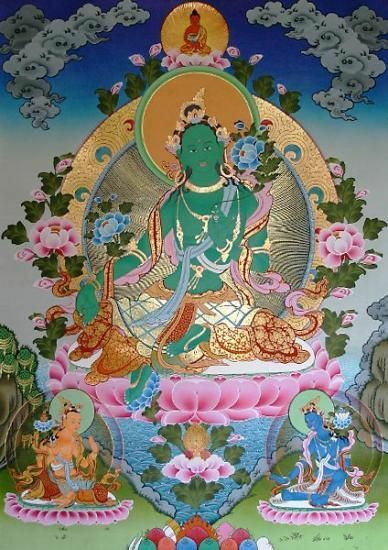 Om Tare Tuttare Ture Svaha! Please accept them, assembly of Arya Taras. And suited to their individual minds. Upon all beings drowning in the ocean of suffering. The glorious deliverer benefiting all migrating beings. 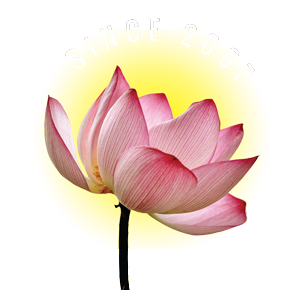 Teaching and advice videos from the Buddhist teachers on Buddha Weekly’s new YouTube Channel: Guided Meditations, Ngondro series, Advice from the Teachers series, Mantra chanting series.